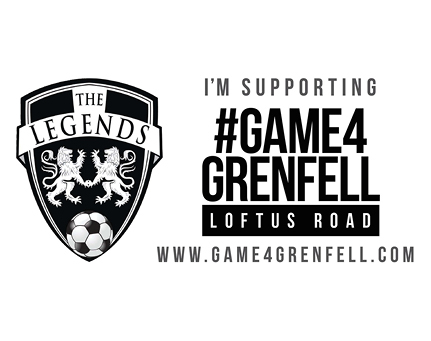 TV football event specialists The Legends are joining forces with Queens Park Rangers FC to produce the #Game4Grenfell at Loftus Road on Saturday 2nd September. 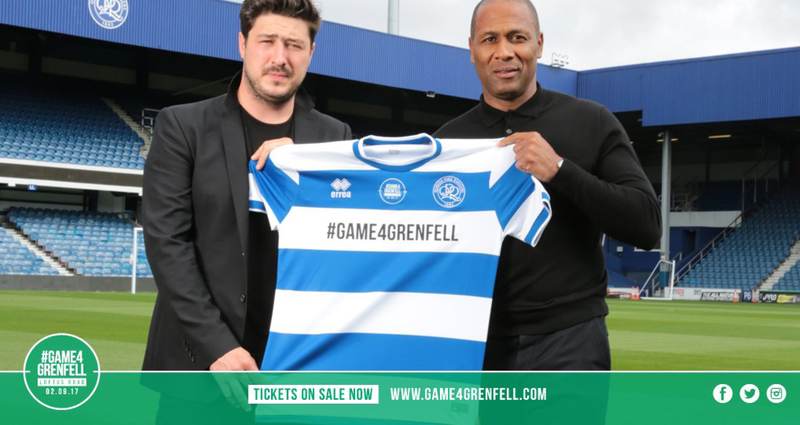 The Legends, able to count on over a decade producing televised football events, are working with QPR in creating a unique match designed to provide financial and community support for those affected so tragically by the Grenfell Tower fire on June 14th. Two teams consisting of ex-professionals and celebrities from the world of acting, music, TV and entertainment, as well as a few special guests, will play a 90-minute match in W12, just one mile away from the North Kensington tower-block. Footballers Les Ferdinand, David Seaman, Trevor Sinclair, Alan Shearer, Andy Sinton, Jody Morris, Ally McCoist and Paul Merson are amongst those already confirmed to play their part. Stoke City’s Peter Crouch will also feature, alongside his firefighter best friend Gregg Jules, who was directly involved in the relief effort. In addition, Marcus Mumford, Olly Murs, Wretch 32, Kano, Ben Shephard, Damian Lewis, DJ Spoony, Tinie Tempah, Jarvis Cocker, Darren Campbell, Jamie Dornan, Richard Ashcroft, Serge Pizzorno, Tamer Hassan, Ben Cohen and James Bay are amongst those set to feature too, in what promises to be a day to remember for the West London community. Over two thousand complimentary tickets will be issued to those directly affected by the tragedy, including families, the emergency services, volunteers, local residents and all those who played their part in the recovery efforts in North Kensington. Monies raised from tickets sales and other fundraising initiatives around the event will go directly through the London Community Foundation into the Evening Standard Dispossessed Fund, distributing funds to survivors and the wider community affected by the fire.